AmazingCigarBargains.com is a community of cigar smokers who are dedicated to finding the best cigar deals on the internet and publishing them on our site. Publishing only the best deals on cigars, humidors and accessories every day. 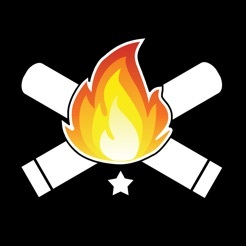 This is the perfect companion app to the best cigar deals site on the internet! * Cigar deal list sortable by newest, highest rated and most visited. 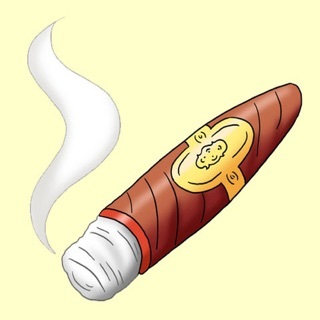 * Upvote, Downvote and Favorite the cigars listed. * Search Deals - Search by keyword for your favorite cigars or cigar retailer. * View the deal right on the web inside the app! * The Daily Deal roundup tab shows an updated list of the one-day deals so you don't miss any! * Push Notifications alert you when a new deal has been posted. * Share the deals with your friends. 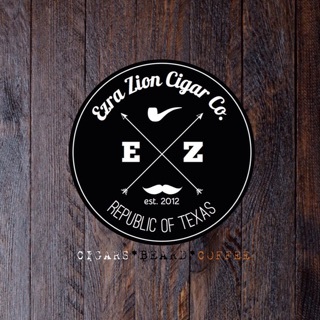 I just downloaded this app today and have already found and made a purchase on a great 8 stick cigar deal with a travel humidor. 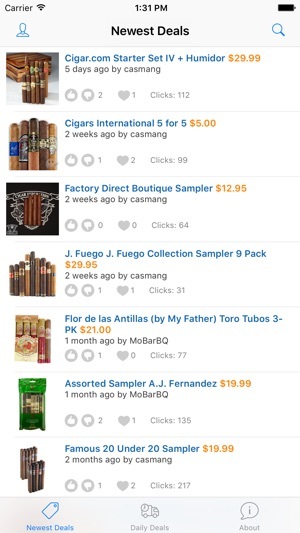 I’m sure I’ll be using this app quite a bit as I’m always looking for great cigar deals. The layout is easy to read and deals are easy to find. Kudos to the developer; this is a great tool for us cigar lovers! Hey, app developer here...if you find a problem or want a new feature let me know! Easy to use and always has solid bargains. Been waiting for an app like this!